Emerson Electric has not committed publicly to GHG emissions reductions targets for its own operations. Tell Emerson Electric to set GHG reduction targets in line with the Paris Climate Agreement. In December 2015, representatives from 195 countries adopted the Paris Climate Agreement, which specifies a goal to limit the increase in global average temperature to well below 2°C above pre-industrial levels. 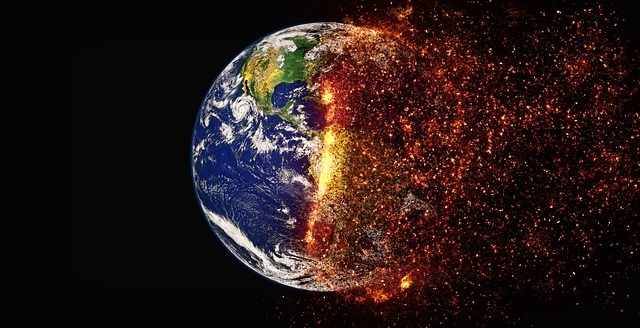 In order to meet the 2-degree goal, climate scientists estimate it is necessary to reduce global emissions by 55 percent by 2050 (relative to 2010 levels), entailing a US reduction target of 80 percent. In 2017, The Task Force on Climate-related Financial Disclosures (TCFD), commissioned by the Financial Stability Board, issued their recommendations. Supported by a cross section of influential investors and business leaders, the TCFD recommends that companies adopt targets to manage climate-related risks and disclose related strategies. Rockwell Collins: reduce emissions by 29 percent by 2019 compared to a 2009 baseline. Honeywell: reduce emissions intensity by 10 percent from 2013 levels. This is Honeywell’s third goal, having already met previous goals to reduce emissions intensity by 15 percent from 2011 levels and reduce total GHG emissions by 30 percent. ABB: reduce energy intensity by 20 percent by 2020 from a 2013 baseline. A strong business case is leading companies to set GHG emissions reduction, energy efficiency, or renewable energy targets. Power Forward 3.0 reports that 190 companies among the Fortune 500 are collectively saving $3.7 billion annually as a result of energy efficiency programs—a key way to reduce GHG emissions. CDP research finds that four out of five companies earn a higher return on carbon reduction investments than on their overall corporate capital investments. Among Emerson Electric’s peers, Honeywell reports energy efficiency projects that will result in annual savings exceeding $8 million, all with payback periods of 3 years or less. Fifty-three Fortune 500 companies have established a renewable energy target—another strategy to reduce emissions. And nearly two-dozen of these companies have committed to power all of their operations with renewable energy. Many of these companies publicly state that sourcing renewable energy saves them money. While Emerson Electric’s products help its clients reduce energy usage and climate impacts, our company has not committed publicly to GHG emissions reductions targets for its own operations. By not setting and pursuing GHG reduction goals, Emerson may not achieve the benefits realized by its peers—a competitive disadvantage for the company and shareholders alike.